Moviewall - Movie Posters, Wallpapers & Trailers. 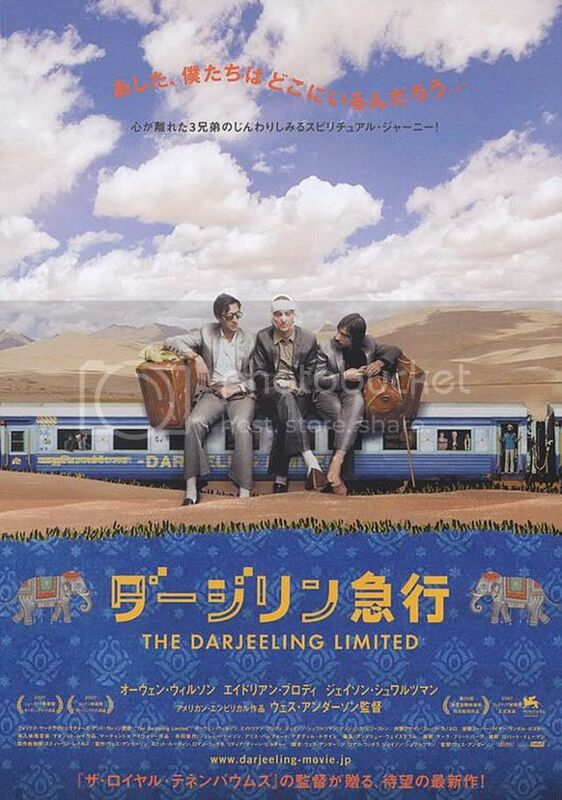 : The Darjeeling Limited. 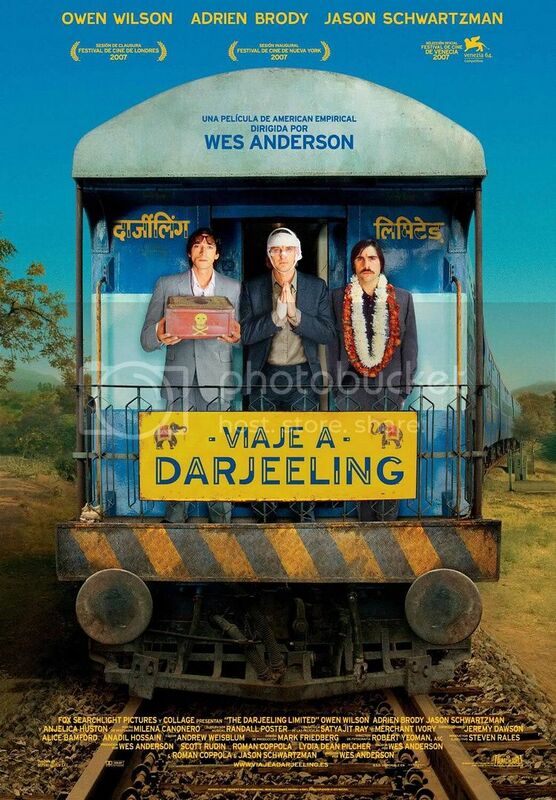 In director Wes Anderson's «The Darjeeling Limited», three American brothers who have not spoken to each other in a year set off on a train voyage across India with a plan to find themselves and bond with each other - to become brothers again like they used to be. Their "spiritual quest", however, veers rapidly off-course (due to events involving over-the-counter pain killers, Indian cough syrup, and pepper spray), and they eventually find themselves stranded alone in the middle of the desert with eleven suitcases, a printer, and a laminating machine. At this moment, a new, unplanned journey suddenly begins. Owen Wilson, Adrien Brody, and Jason Schwartzman star in this film about their adventure and their friendship. 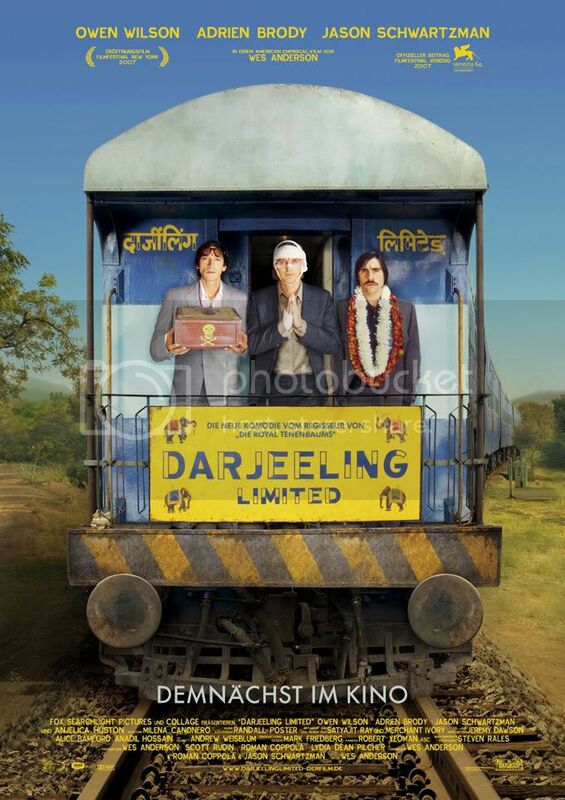 Movie Title: The Darjeeling Limited. 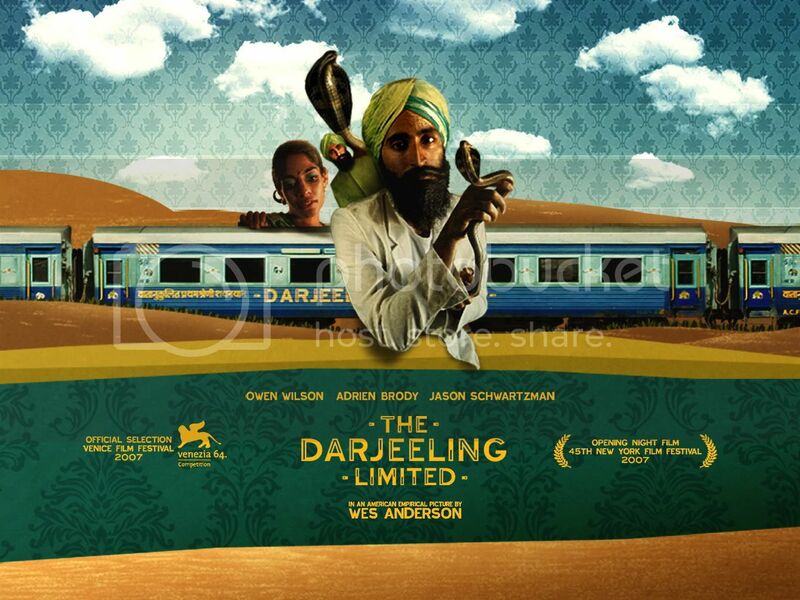 Other Titles: Viagem a Darjeeling (Brazil), Viaje a Darjeeling (Spain / Mexico), À bord du Darjeeling Limited (France), Il Treno per il Darjeeling (Italy). 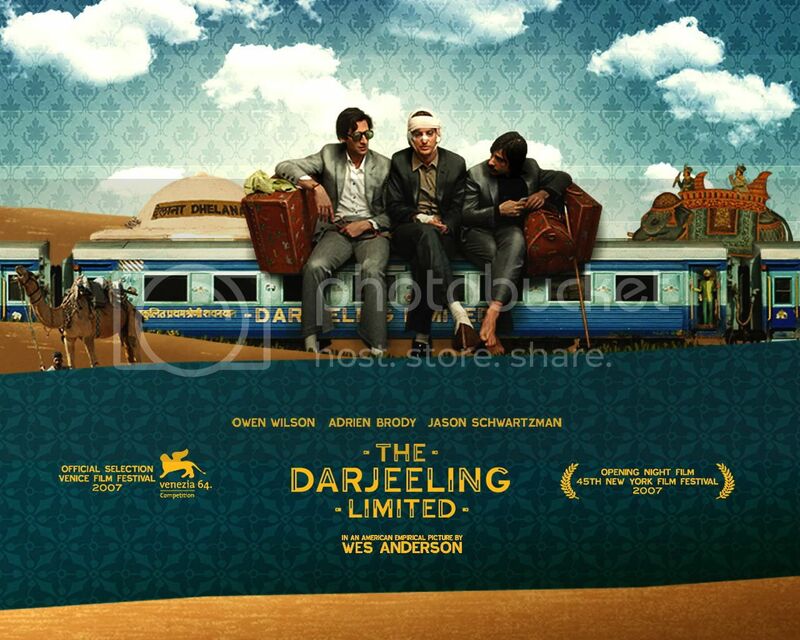 Starring: Owen Wilson, Adrien Brody, Jason Schwartzman, Anjelica Huston, Roman Coppola, Camilla Rutherford, Amara Karan. 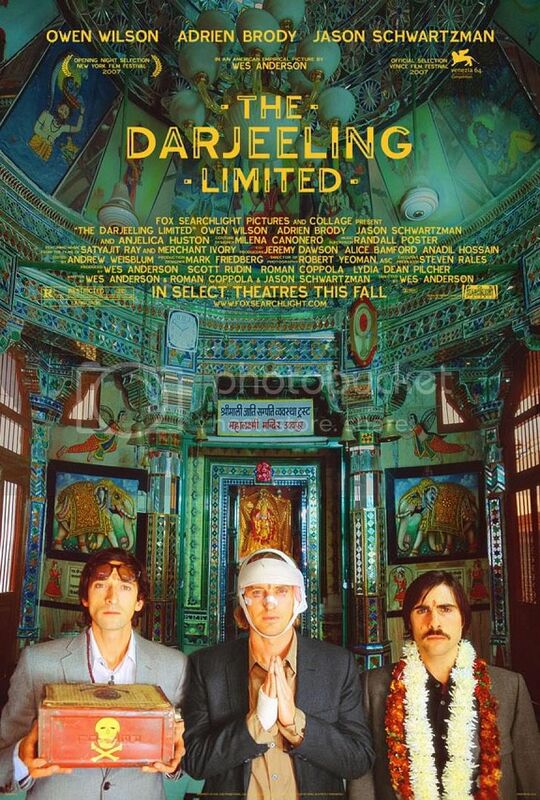 Writers: Wes Anderson, Roman Coppola, Jason Schwartzman. Release Date: September 29th, 2007.